Churches save on the large 3′ x 5′ Markerboard from Ghent. 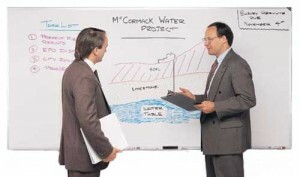 Ghent’s large M2-35-0 model whiteboards are perfect for Churches on tight budgets. This Church whiteboard from Ghent has a full aluminum frame and includes all mounting hardware and is ready to use. OUR BASE PRICE IS $77.90.